One of my favorite traditions at PAX West is attending the Seattle Indies Expo, or SIX. I’ve been attending it for a few years now, long enough that I can remember when it was hosted at another, less optimal venue. 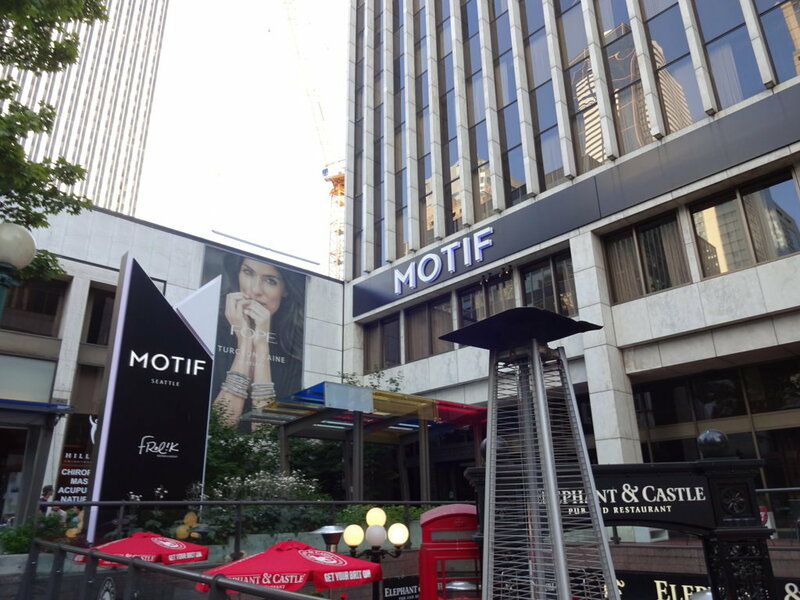 Nowadays it’s at the very posh Motif hotel, and it’s always extra nice to attend it just for the air conditioning alone. But it’s not all about the creature comforts! I played several great games at SIX during PAX West 2018. Here are the highlights (in alphabetical order). Though Admiralo Island Witches Club is the first game I’m going to mention, it was actually one of the last ones I played at SIX. Not cause it wasn’t worthwhile, but more because I find Visual Novels are better to sit and relax with. Hence me doing this next to last. This particular game is a charming little VN all about a young woman moving to a strange island and discovering a bunch of young witches. The story seemed to be well written in my short time with it, not having any typos or such. All the characters had distinct personalities and quirks that were endearing. Visually, it has a soft, hand painted feel which appealed to my sensibilities. 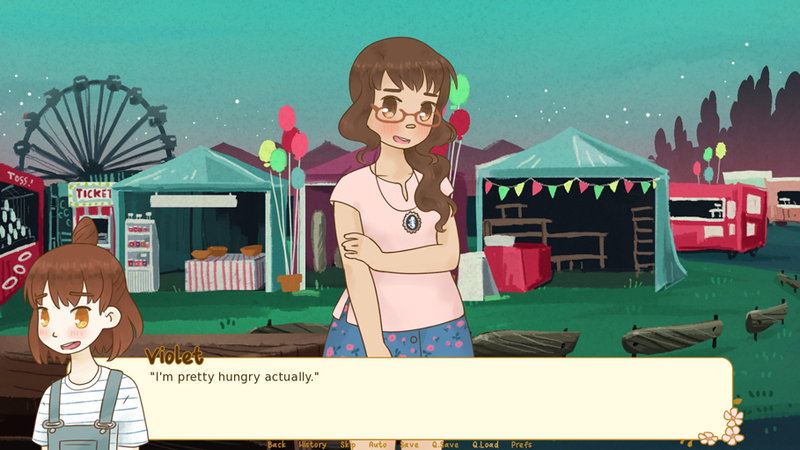 The game is described as a “woman-positive, narrative-driven game with a focus on friendship, mystery and adventure”. Which all sounds great to me, especially in the political climate we’re all living through. If you want an all ages VN that tells a well written and animated tale, you can get Admiralo Island Witches Club here. Much like when I recently attended MIX, at the SIX I found an old friend. That was none other than Studio Atma, and their fantastic action JRPG Gravastar. I played this a couple years ago at SIX, and while it was quite impressive back then, it’s grown in leaps and bounds since I last saw it. For one thing, they’ve since added a world map, which really ties things together. For another, there is a lot more focus on the individual characters this time. The combat, which was already fantastic, looks even better now. 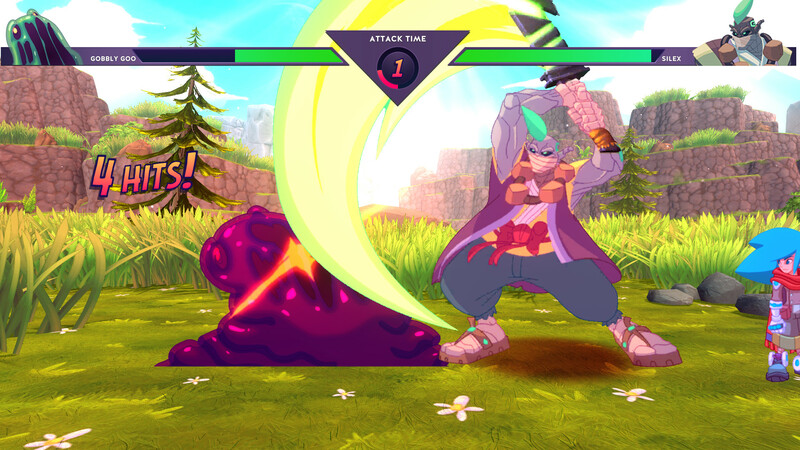 Even with a couple of placeholder animations, the fighting game inspired combat really shines. In the demo I got to wander about, fighting in gloriously illustrated random encounters, and then help an old man with a side quest which ended things. I am continuously impressed by the artistry of Studio Atma, and can’t wait to hear when Gravastar gets a release date, as well as hopefully some console announcements. I have a guilty secret to share with you. Despite loving niche and indie games, I’m sometimes drawn by the siren song of mobile gaming. Despite knowing the vast majority are pure shovelware, part of me hopes that I’ll find a diamond in the rough. Last year that mobile diamond was Meow Wars, and this year it was Pop Karts Food Fighters. 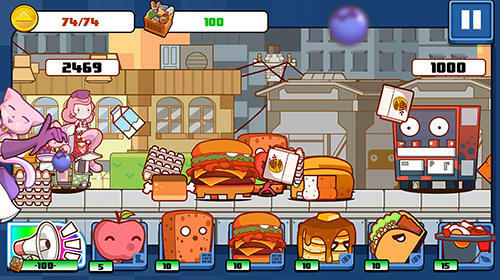 This game uses the concept of a food fight and takes it to a whole new level. It’s a sort of tower defense game where you unleash living food soldiers upon your foe, the wily and unhealthy vending machine! Everything has a cool down, so there’s a bit of strategy to what you unleash when. Some units can shoot ranged attacks, others can fly. While you’re instructing your units to destroy, your job is to pick up coins using your finger on the screen. Eventually you will rack up enough points to unleash a mega attack that speeds up all your units for a limited time. It’s a lot of silly fun, but the colorful art style mixed with the tower defense mechanics had me hooked. Best of all, Pop Karts Food Fighters is totally free right now. So if you want to get messy with your food, just click here. You may have heard “we’ve saved the best for last”, and that certainly applies here. While every game I played at SIX was phenomenal, Undead Darlings felt the most complete. Developed and nearly Kickstarted by Mr. Tired Media, LLC, Undead Darlings is what would happen if you mixed a little Senran Kagura with a dungeon crawler and the zombie apocalypse. Pardon, funpocalypse. Or that’s what they call it in the game. Basically, most of the world has been afflicted with some sort of zombie virus, including the titular darlings themselves. The catch is that the virus is giving them access to strength and skills they wouldn’t normally have. Thematically the game is a VN mixed with a dungeon crawler, and the silly premise is just an excuse to get to know the girls in the game. Though I didn’t get to know their personalities in the demo, I did enjoy doing some quality dungeon crawling with them. And don’t let the apocalypse part fool you, there’s a lot of humor in the game. 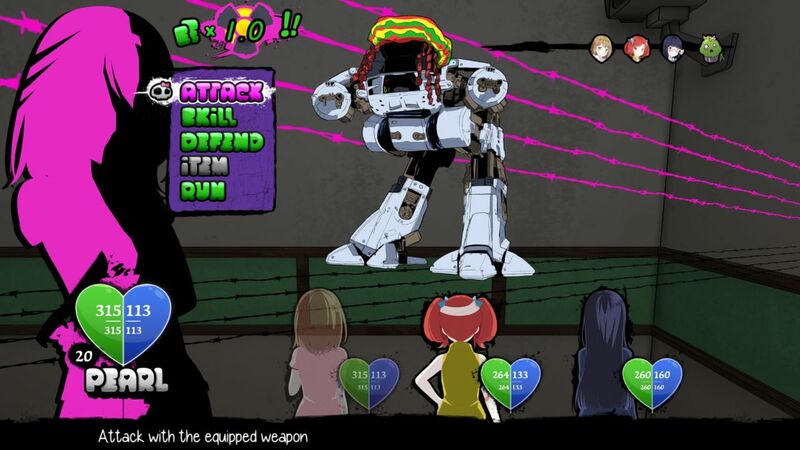 You’ll face some very odd enemies, including a rastafarian robot (not sure if he’s a zombie or not), angry potatoes, violent dolls and several flavors of undead menaces. Foes will have strengths and weaknesses you can exploit, but be cautious. If you keep going after the same type of enemy, they’ll want revenge and return stronger in future battles. That’s one of many ways Undead Darlings shows how unique it is, and I’m confident the final result will be a compelling title for any fans of dungeon crawlers. If you want to help make sure the game gets done right, you are free to contribute here. I always love attending the Seattle Indies Expo, and this year was no exception. My only regret is I wasn’t able to play everything there, but I feel I spent my time wisely and played some diverse and compelling titles. Be sure to tune in to oprainfall next year for my continuing coverage of the event.